With the Indian economy at the lowest point it has been in years, it is tempting to take any job you can get without considering its sustainability. Freshers often think they can compromise on their first job, then gradually increase to a liveable income with time. What they don’t realize is that your first salary negotiation can set the tone for your setting a value to the company. 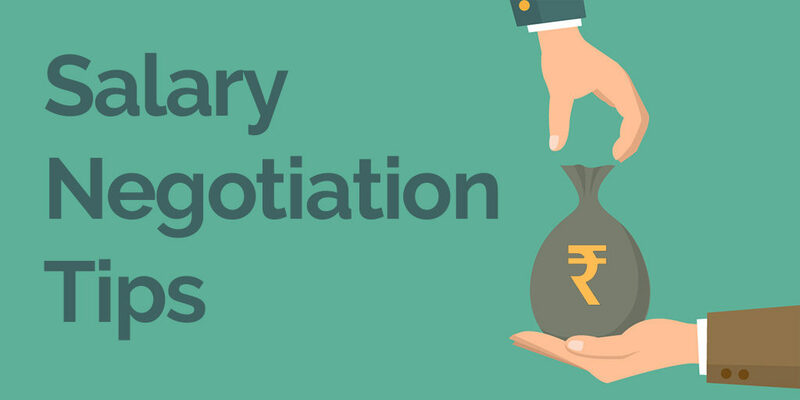 Below, we offer some tips on how to tackle your first salary negotiation and come out with a fair salary. Know your worth: If you aren’t clear on how valuable you could be to a company, how can you expect the company to know? Before you even enter an interview setting, make a list of your skills and experience and, using this information, try to determine your worth to an organization. This way, if you are asked during a negotiation why you should be paid a certain amount, you have a clear answer. Consider external factors and benefits: Instead of considering a job based purely on the base salary, determine what additional benefits/ drawbacks the job might have financially. For example, a job with a slightly higher salary might ultimately end up costing you more if it is far from home and does not offer compensation for transport. Taxes might also cut significantly into a package that seems otherwise ideal. Be very careful about making these trade offs; you might find that a job with lower pay will ultimately give you a better deal if it offers additional benefits or commissions. Be willing to compromise, but know when to stand your ground: When the time comes during an interview to discuss money, firmly state the amount you expect without seeming hesitant or embarrassed about the ask. In all likelihood, being a fresher, you will be seen as someone who can be manipulated into settling for less. Don’t let yourself be intimidated. Stick to your (reasonable) salary ask unless the recruiter can offer a very specific and fair reason for why you can’t be paid that much. Be willing to compromise if the offer is not significantly below your original ask and if there is the possibility of growth. At the same time, remember that if the offer is too low, you are not bound to stay with the company just because they are offering you a job. Feel free to walk out- this is not your last interview or the last job you can find if you know your worth. Understand the organization’s worth: One way to determine what is a fair ask for a particular organization is to know how much that organization can afford to pay. A fresh startup with only a few small investors simply cannot afford to pay as much as a big and well-established company. It would be unreasonable to ask for the same amount at both (although you can certainly try!). If the environment at a startup offers more room for growth and will help you pick up skills you couldn’t find anywhere else, it might be worth compromising on the original salary ask. Do your research: How do you know what a company you are interested in can afford to pay? ALWAYS do your research beforehand. Never go into a salary negotiation without having an idea of what your skills are worth in the current market, what similar employers are paying their employees, and what a company’s average salary level is vis-a-vis the competition. In the same vein, check for feedback on the company. If someone on a job site (Glassdoor is a big one) mentions that they haven’t been paid or that salaries are regularly delayed, that’s a big red flag. It doesn’t mean you write off the company entirely, but it’s worth asking why this is the case during your interview. Finally, remember that a salary negotiation is not a fight but an attempt to reach an agreement. If you feel like you are being undervalued, it is perfectly acceptable to leave. On the flipside, if you want the job and know there are valid reasons why you are not being paid your ask amount, be willing to compromise while asking for additional benefits/ compensation that might make the lower salary sting less. Remember that as a fresher, your aim right now is to build skills and experience in your field so you come across as an impressive candidate the further you move up the career ladder. Consequently, it’s ok to compromise a little, but it is never a good idea to undervalue yourself or expect your salary to increase significantly if you are afraid to ask for the amount you deserve. For personalized information on how to handle a salary negotiation, follow Autogram on Facebook, Instagram (@myautogram) and Twitter (@myautogram) for updates on our new mock interview and feedback service.